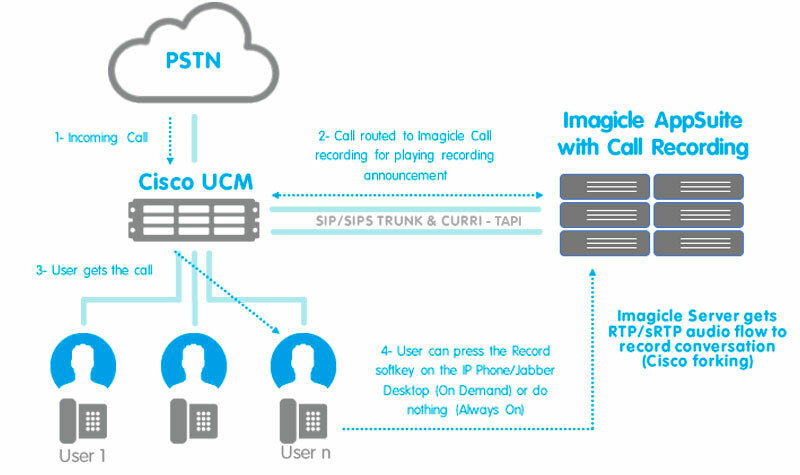 Imagicle Call Recording is Imagicle's new solution for centralized call recording for Cisco UC platforms. It's easy to use, reliable, flexible and at the right price, dedicated to any company that needs to record calls either for critical services with legal requirements, for operator training or just to keep track of important calls. It offers two recording modes: Always On, where every single call is automatically recorded with no user intervention, and On Demand, for only those conversations that need to be recorded. Imagicle Call Recording can be integrated with Cisco platforms in three ways, making it perfect for e-cloud hosted environments as well. Automatically record every incoming and outgoing call (with any filter you wish) on a line/location with no need for any intervention. Record only when you need to, via conference or with a special key on your IP phone. In your office or on the go. Lets you record calls from different locations using your PIN (Free Seating) and even calls received on mobile phones. Automatically save and index your encrypted recordings on the local server or on an external NAS (crypted). Uses Cisco Built-In Bridge technologies on IP telephones, Network-Based Recording of Voice Gateways and conference calls. Up to 180 channels per instance (physical or virtual). Unlimited users. Multiple instances supported. Manual or automatic from CuCM via AXL or Microsoft AD, LDAP/OpenLDAP systems and CSV files. Active Hot Standby, either on same DC or different DC (Disaster Recovery). Incoming/outgoing calls, with optional recording filtering (i.e. only incoming or only external calls). External mobile phones recording using network-based recording. Embedded web interface in Imagicle ApplicationSuite. Free Call Recording gadget for Search & play and start/stop recording included. Local: 300 KB per recording minute (1 year of recordings for 20 agents with 500 GB disk space), and/or on NAS. Local recordings can be encrypted for security reasons. Imagicle Call Recording adds a digital signature to its recording files, to avoid data altering. Specific digital certificate can be uploaded into Imagicle server for this purpose. REST APIs are available to start and stop Dial-In or Media Forking recordings on TAPI controlled IP phones. New APIs are now available to search & download unencrypted recordings. Yes, phones with overlapping numbers and shared lines can record calls and having them associated to the respective user. Yes, by associating tenant info with recording enabled users and providing tenant supervision privileges for search and play across all tenant users. Yes, with non-overlapping dialing plan and same UC System version across the clusters. The solution is officially certified with the release 12.0 of Cisco UCM, BE6K/7K. Imagicle Call Recording is officially certificated for BroadWorks Platdoms. Imagicle is one of only a few dozen worldwide Cisco Preferred Solution Partners. Microsoft SILVER Independent Software Vendor. All the support you need. When you purchase an Imagicle product an Imagicle Care Basic plan for 12 months is already included. You just need to extend immediately or to renew later your service or upgrade to Imagicle Care Gold. You can subscribe our Imagicle Care Gold to have the best services for your company. Extended Support periods, predetermined response times, seasonal release and so much more. Winter release 2019 is here. Available as of January 28th, 2019. It was an important call but you didn't start the recording on cue? With the Live Keep feature on active calls, you can start recording at any time. Imagicle Call Recording will record your calls from the very beginning, without losing a second. There are moments you don't want to miss. Whether your organization needs to record every call for legal reasons (emergency services, telephone orders, etc. ), or you want to give your employees the option of recording important calls, or to be able to play back a new sales person or operator's call for training purposes, Imagicle Call Recording is the solution for you. Flexible enough to adapt to any scenario, reliable and secure as required for your calls, easy to use and available to every one of your employees. Be ready for MIFID II, GDPR, PCI-DSS, HIPAA. The new specific regulations involve the way companies need to record phone calls and keep them secure and protected. Imagicle Call Recording has been designed with features and flexibility to match the requirements of them. A unified experience from all your devices. 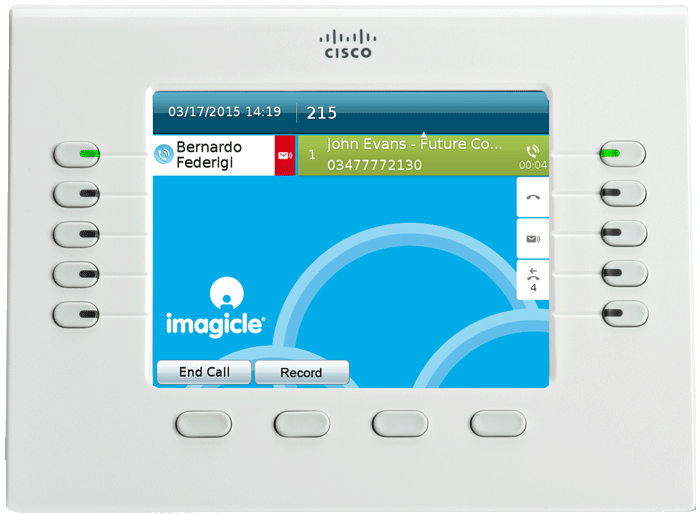 Imagicle Call Recording is available on Cisco Phones, Cisco Jabber Desktop, Cisco Finesse and Imagicle Attendant Console. Imagicle Call Recording also lets you record conversations when you're not at your desk. With "free seating" mode, you can record a conversation by activating a conference from a different location, entering your PIN. If you need to record company calls intended for colleagues who answer from their cell phone or a phone not on the network, such as for an on-call service, you can do it automatically in Network-Based Recording mode or by triggering a conference from your mobile phone and by optionally entering a numeric PIN or User ID. Start/stop your recordings by pressing a button on your device, for On Demand mode (compliant with GDPR regulation). You can also pause and resume the recording to skip sensitive information, as credit card data (compliant with PCI-DSS regulation). Available on Cisco Phone via XML, Cisco Jabber Desktop, Cisco FInesse and Attendant Console. Search and playback your calls whenever they are saved through a simple Web interface, or quickly sign in to Jabber gadget. 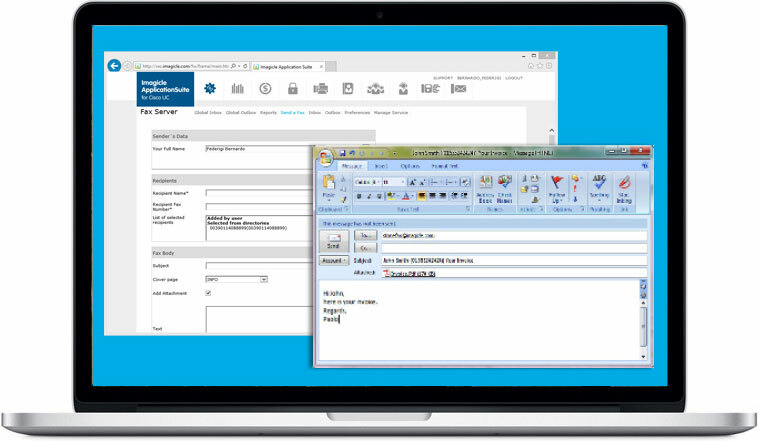 Receive the recording directly on your email at the end of every call, at your very convenience. In case you need to playback your recent recordings, you can also do it directly from your phone. Safety save and archive each call. All the recordings are locally saved and indexed on the Imagicle server, using the MS SQL Server database in the Suite or on any external server keeping all the security settings and conversation policy. Anyway, you can easily search your calls for any field (by date, tenant-group, agent, extension, etc..). Thanks to SIPS and SRTP protocols support, content and recording details are encrypted and only authorized persons will be able to playback the recording, using a specific password, through a Web interface and from Jabber. 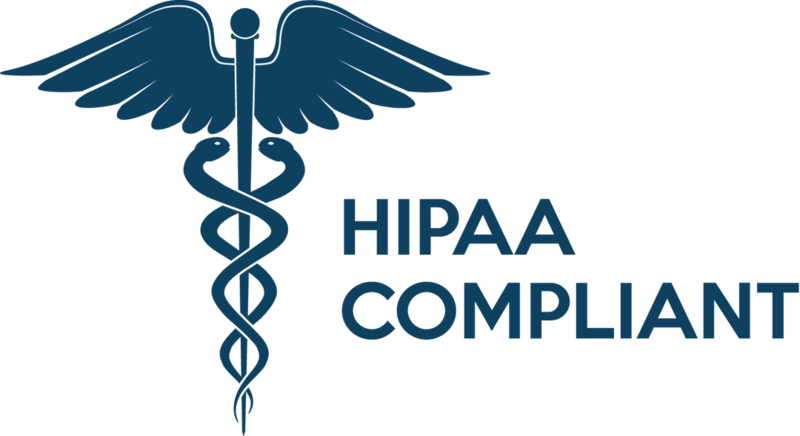 Compliance with PCI-DSS, HIPAA, FSA normatives thanks to recordings watermarking and audit of user access. Customize it to your own specific needs. Using the easy to use web interface, you can define the calls that must be recorded defining the settings you want such as kind of calls (incoming, outgoign, both), traffic type (internal, external, both), black list calls, permissions, data retention policies and much more. 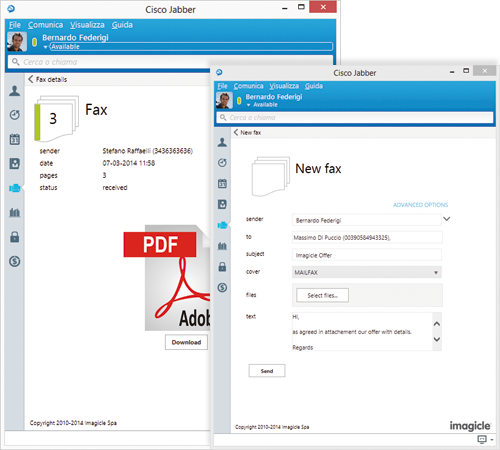 Your Apps in Cisco Jabber, free! Fax wizard and all the faxes received/sent are available at a click thanks to the free Imagicle IP Fax Server Jabber Gadget. 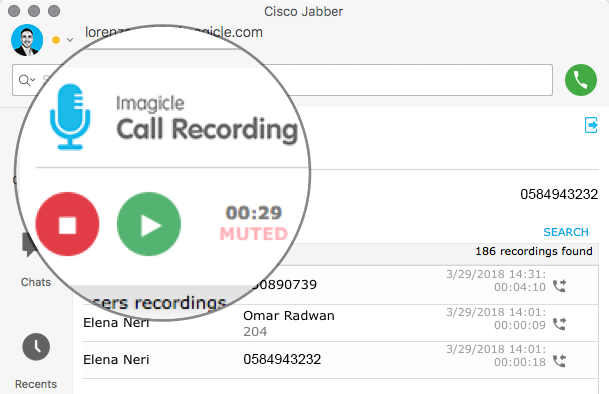 Access all your external contacts, and add global click-to-call and Caller ID to all your calls using the free Jabber Gadget from Imagicle Directory. 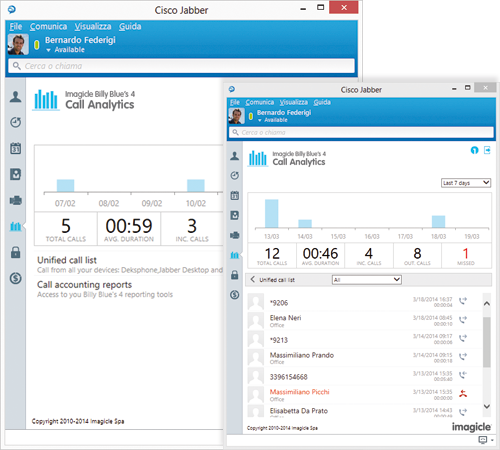 Your unified call list (all calls placed with Jabber desktop/mobile and desk phone) and dashboard are available at a glance for total control of calls and expenses inside Cisco Jabber desktop. Free mobile Imagicle Accounting & Billing for Cisco Jabber Gadget. Monitor your telephone expenses, keep tabs on telephone use and keep everything under control. 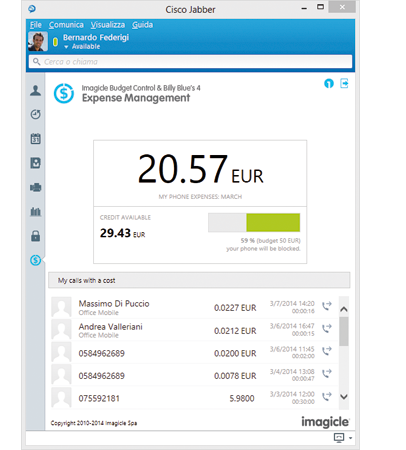 Plus, thanks to Imagicle Budget Control you can also check your available credit in real time. Lock your phone and erase your personal call list when you go out to prevent unauthorized access, using the free Imagicle Phone Lock Jabber Gadget. Exclusive Search & Play gadget inside Cisco Jabber Desktop. Lets you search and play back your calls saved and encrypted on the server, at any time. You can organize your registrations by date, tenant-group, agent, extension, etc., and search for any field. Available for free with Imagicle Call Recording. "This call will be recorded...". 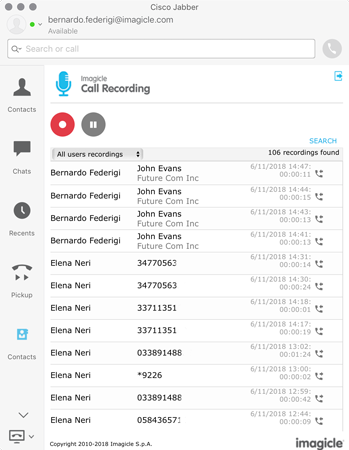 Imagicle Call Recording offers you a variety of options to inform callers that their call is about to be recorded, depending on the recording method chosen. Independently from the chosen registration method, you will be able to add a custom message for your incoming calls, notifying the caller that the call will be recorded, without any additional apps.. Thanks to the support of CURRI protocol (have a look at"Architecture" section), Imagicle Call Recording is now able to playback audio messages that are easily configurable from your Cisco UC system. In 1994, it was the first institution of higher learning established in Namibia.Today, with two campuses, it has over 11,000 students and almost 700 faculty and staff. 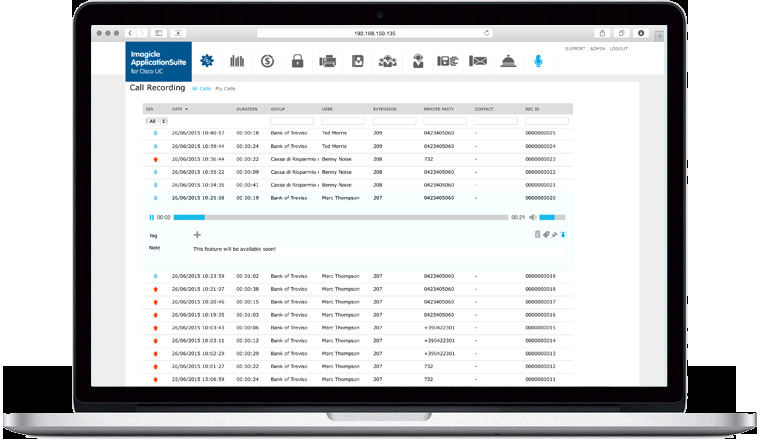 accounting & billing, paired with the budget control module and the phone lock solution, provided complete control over the more than 1,000 extensions, preventing unauthorized telephone use and guaranteeing respect of the telephone budget. At the same time, its 50 customer service workstations handle vast numbers of calls from the university, while the Imagicle fax server replaced the old fax machines. For over 50 years, Gabriellie has been selling and processing steel in Italy. With six different companies, over 180,000 sq. m of industrial plant throughout northern Italy, the entire group now employs over 1,200 people. When switching to Cisco UCM 9.1, it was natural to choose Imagicle solutions because they guaranteed Gabrielli would receive all the functions it needed while improving those of UC without compromise. Cubiks is an international consulting firm that designs and provides services for human resources assessment and development. Over 1,000 clients in 50 countries use Cubiks solutions. The company chose the Imagicle directory management solution for the guaranteed support service ready to answer any question in six different languages. With over 200 production units in 41 countries, Sibelco is a world leader in the extraction and processing of natural raw materials used in a wide range of applications. Sibelco Europe is involved in a project to manage its sites in Belgium, Netherlands, Germany, Italy, England and Norway using a single Cisco UCM cluster. 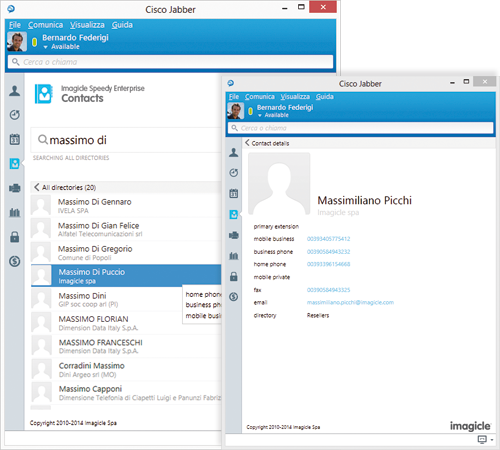 In collaboration with FAR Networks, which is managing the migration process, the Italian and Belgian site have already implemented Imagicle solutions for telephone traffic control and centralized directory management, which has been personalized for speed dial numbers. Thanks to the successful use of Imagicle apps, management has decided to extend the services to the other European sites in the near future. 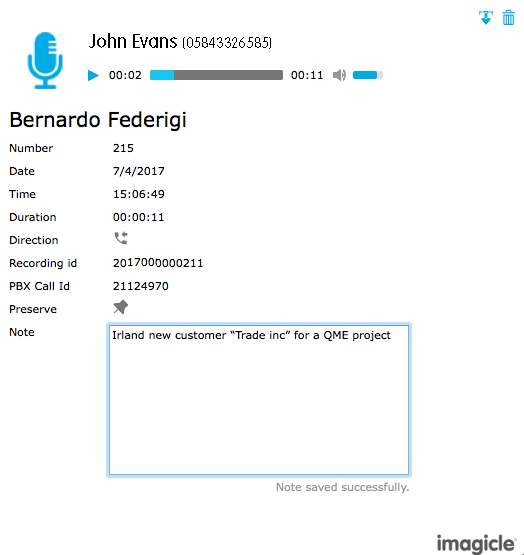 Imagicle Call Recording is a client/server application and an Imagicle ApplicationSuite add-on. It can co-reside on the same physical/virtual server as ApplicationSuite with which it shares the user database, with external source synch and authentication capabilities (Cisco UCM, LDAP, Active Directory), for ease of administration. Thanks to the modern recording technologies used (requires no sniffer or network apparatus to capture traffic), it can be used both on-premise and in e-Cloud hosted environments. Simple licensing based on the number of simultaneous recording channels, regardless of the number of telephones/agents you want to record. Always On: automatic recording of every incoming or outgoing call on authorized phones, with no user intervention. On Demand: allows each authorized user to record calls on their own phone only when they need to. Recording can be activated at any time either via a conference or with a softkey on the Cisco IP Phone. 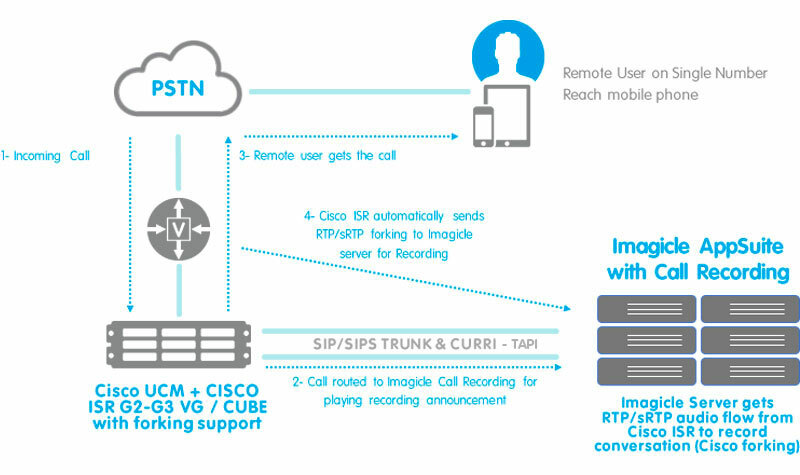 Imagicle Call Recording can be integrated with Cisco UC platforms in four ways, which can also be used simultaneously to offer various services in the same environment. Available services, integration requirements and user experiences differ according to the technology used. The Cisco Built-In Bridge feature is used to fork two audio flows directly from the user's IP Phone to the Call Recording Trunk SIP. Each audio flow includes the caller and called's voices. Imagicle Call Recording combines the two audio flows in a single WAV file containing the conversation. This mode requires the use of CUCM rel. 8.x or higher for Always On and 9.x or higher for On Demand. Cisco IP Phones must be third generation (69xx, 79xx, 89xx, 99xx or later) including the DX series. See the specific models on the official website: Cisco Recording Supported Device Matrix. Imagicle Call Recording supports SIP and Secure SIP trunks (RPT and sRTP audio streams are both supported) and G.711 and G.729A audio codecs. If G.729 or another compressed audio codec is used, Cisco resources are necessary to transcode flows in G.711 to the Imagicle Call Recording app. "Built-In Bridge" technology can be used for both Always On and On Demand recording. To start recording in on On Demand mode, simply press the softkey on the IP Phone or use Jabber Desktop for Windows. Using this technology it is possible to play a starting beep and/or the beep during recording. Moreover, Imagicle Call Recording offers exclusive capacity to play recording announcement for incoming calls, through CURRI protocol, without the need of additional applications for this. The Cisco Network-Based Recording feature is used to fork two audio flows directly from the Cisco Voice Gateway PSTN to the Call Recording Trunk SIP. Each audio flow includes the caller and callee's voices.  Imagicle Call Recording combines the two audio flows in a single WAV file containing the conversation. This mode requires the use of CUCM rel. 10.x or higher and Cisco Voice Gateway ISR-Gen2 Gateways (29xx-39xx), IOS 15.3(3)M or higher, which can be configured in Voice Gateway or CUBE mode. "Network-Based Recording" technology can be used only for Always On recording. It is ideal when devices outside the internal network are used, whether mobile or fixed in Single Number Reach mode. Company calls can be recorded even when answered on an external mobile or fixed phone. This mode allows to manually or automatically setup a conference call among local user, remote party and a pilot number associated to Call Recording SIP Trunk. Automated dial-in mode requires CUCM rel. 8.x or later and it works with any TAPI-enable Cisco IP Phone. Manual dial-in mode can work with any phone device, including analog sets. 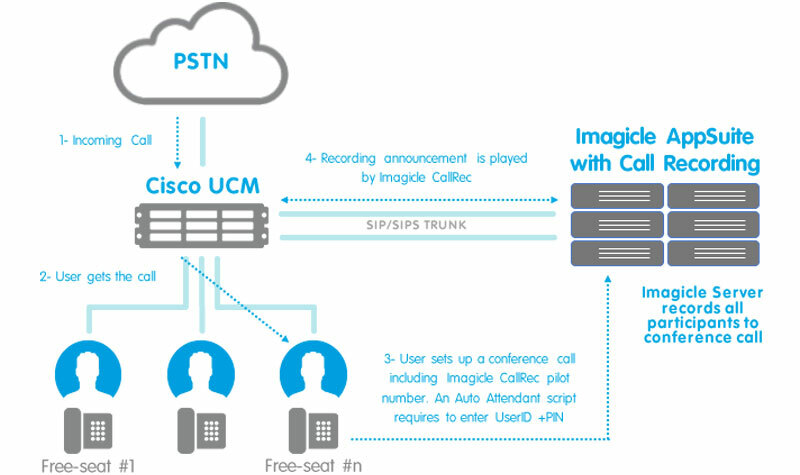 Imagicle Call Recording supports SIP and Secure SIP trunks (RPT and sRTP audio streams are both supported) and G.711 and G.729A audio codecs. If G.729 or another compressed audio codec is used, Cisco resources are needed to transcode flows in G.711 to the Imagicle Call Recording app. "Dial-in Conference Call" technology can be used only for On-Demand recording only. To trigger automated Dial-In recording, the user accesses to a specific phone service, including buttons to start/stop and optionally mute/unmute the recording. Once Start button is pressed, Call Recording can optionally play a customizable privacy statement audio prompt, which is heard by both parties. Recording can be temporarily muted (PCI-DSS regulation) and/or stopped at any time by pressing relevant softkey. To trigger manual Dial-In recording, the user manually initiates a conference call with the Imagicle Call Recording Pilot number. Once the conference call has been activated, Call Recording might request a numeric userID and personal PIN (only for "Free Seating" mode) and optionally it can play a customizable privacy statement audio prompt, which is heard by both parties. Recording can be stopped at any time by pressing “*” key. Moreover, Dial-In method allows to play a periodical beep signal during recording. Dial-In Conference mode does not allow to acquire remote party number, thus this information is not included in relevant recording properties. Session Recording Protocol (SIPREC) is an open SIP-based protocol for call recording standard, defined by Internet Engineering Task Force (IETF). 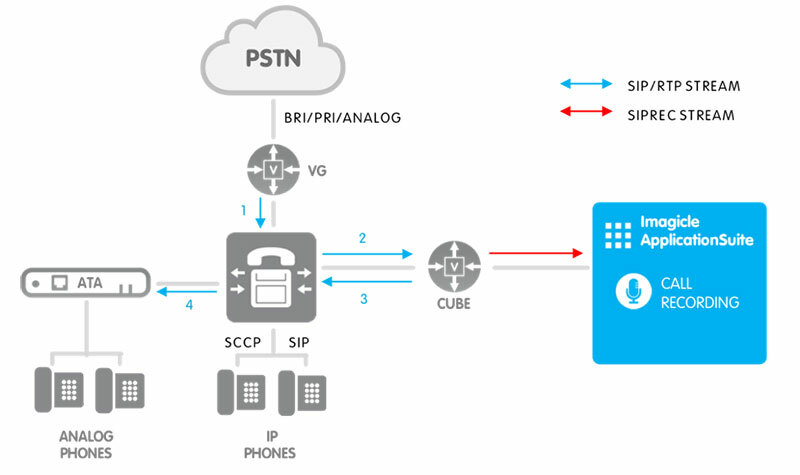 SIPREC method allows to trigger call recording from any phone device, including analog phones, providing that a specific dial plan is applied to force call signaling and RTP audio streams routing through a dedicated Cisco CUBE via SIP trunk. This requires Cisco CUBE appliance to be licensed for up to 2xN SIP Sessions (N is the number of concurrent phone devices to be concurrently recorded). "SIPREC " technology can be used for Always-On recording only. Identify the server required based on the number of applications to run on the same server and on the size of your apps. Apps are classified for that scope on the basis of the size they're usually proposed to different type of Customers: Small businesses, Medium businesses and Large Enterprises. IVR Manager can be always included and does not affect the server requirements. If you have selected applications from different groups (e.g. two Small and one Medium), you should consider all of them in the highest group of the server requirements with a weight of 0.5 per each Small App and of 0.75 per each Medium App (in the example you should consider them as 2 Medium apps). 1. CTI applications for Attendant Console and Desktop users should be considered as a single app for server requirements. 2. Imagicle Call Recording should be considered as 3 apps for server requirements. 3. Over than 45 channels and until of 180 channels CX Server is required. Over than 180 channels multiple servers are required in active-active mode. 4. Hotel Pack for Cisco UC should be considered as four apps for server requirements. MS Windows Server 2016-2012-2008 Standard/Data Center/Essentials, MS Windows 2008 R2 (64 bit) Standard/Enterprise, MS Windows 2012 Standard/Data Center/Essentials**. English Build, any Language pack supported. Host must Not have oversubscription of resources to grant the right performances to the Imagicle virtual machine. ** Windows Server 2012 R2 Essentials license can’t be activated on Imagicle Virtual Appliance. If you plan to use Virtual Appliance, you need one of the Windows Server 2012 R2 Standard Edition version. If you are planning to use TAPI based applications (QME-Attendant Console–CTI-StoneLock), please verify your PBX TAPI driver supports 64-bit OS. If not supported we recommend using a 32-bit OS: the first Cisco UCM release that has native 64Bit support is 8.5(1) SU. If you are using MS Windows Server 2008, you have to use Enterprise Edition if you want activate StoneFax 8 channels or higher. If hyperthreading is enabled please consider 2x vCPU required. On Windows 2016 OS, Cisco TSP client (TAPI) is supported only for CUCM version >= 11.5. If you are going to use earlier versions, Imagicle has a workaround for that. Our applications are ready to run on any virtualization environment as VMware, Microsoft, Citrix, etc. If you install Imagicle applications on a Virtual Machine, you must allocate the amount of RAM, CPU power and disk space stated in the server table. The virtual hardware resources must be reserved, that is, they must not be shared with other virtual machines. The suite installation includes Microsoft® SQL Server® 2008 R2 Express database, offering top security, improved performance and 10 GB database. The update of existing installations, automatically upgrades to the latest version, in a transparent operation for the system administrator. IP Fax Server – requires 1 GB per million of faxes sent/received to keep online for retrieval. CTI – Attendant Console – requires 0.5 GB per million of calls kept for the clients registry. Call recording – Recordings are saved on the server filesystem. About 300KB of disk space for each recording minute is required on the Imagicle server disk. Having 500GB hard disk, it is possible to store up to 300,000 call recordings, 5 minutes each, which corresponds to 1 year «always on» recordings for 20 agents. It is possible to export recording to external Network File System for longer retention. Users and other apps require a very small amount of space in the DB, negligible for the DB and Hard Drive storage calculation. If you need more than 10GB online data (Large business scenario), a Microsoft® SQL Server commercial license must be used (not included with the product). For Microsoft SQL license considerations, you will need as many CALs as the number of users accessing the Imagicle applications or the core/processor license that includes unlimited CALs. The applications can be installed on the same server running Microsoft SQL Server or on a different machine (a dedicated machine is not required). Blue's Attendant is supported by Imagicle on the following editions of Windows 10: Pro, Education and Enterprise. Blue's Attendant is supported on the in-market supported servicing branches of Windows 10 including Current Branch and Current Branch for Business. no visual indication of phone status. models which support visual indication of phone locking status. 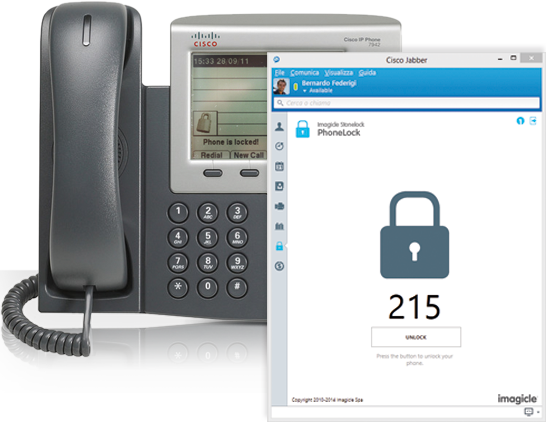 Phone locking is also available for all the other IP phones CTI managed. from the affordable 3900 series to the high-end 9900 or the new DX series. But if you need to keep your analog phones, you can do that, too. 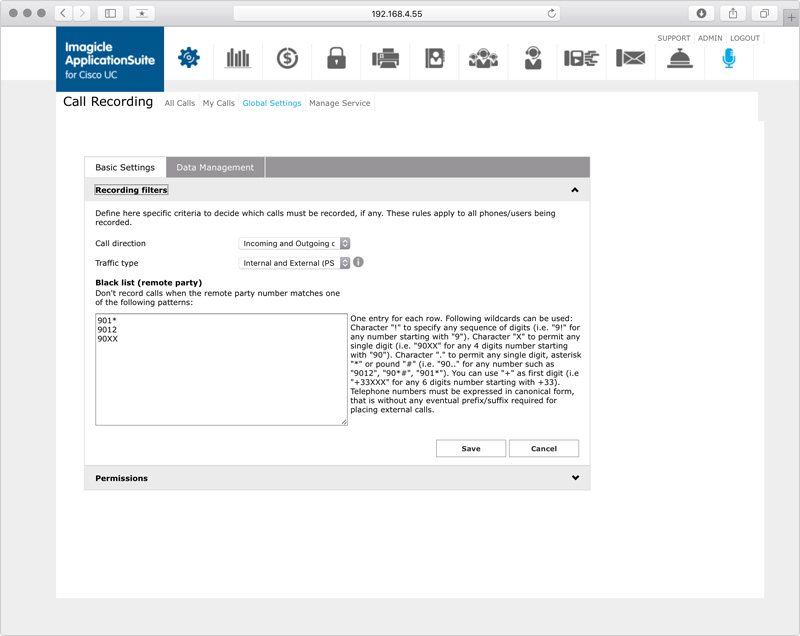 Now you can run the Imagicle AppSuite on the same Cisco UC on UCS server! Your preferred Imagicle solutions, can now be co-resident with the Cisco Unified Communications virtual machines on the Cisco Unified Computing Systems (UCS), providing cost saving and even more integration with Cisco. Platforms listed in the following table have been verified for operation with the product. Imagicle solutions are based on technological standards and therefore operate with many of the most commonly used systems on the market. Should your system not be listed, please contact our technical department to check interoperability. Cloud Connector, Office365 and Teams are currently not supported. All the resources you need. Find out how to deploy your Imagicle apps in your environment. Imagicle apps usually don't require any training, but you can enjoy our guides. Find out some answers to frequent questions and some useful solutions.